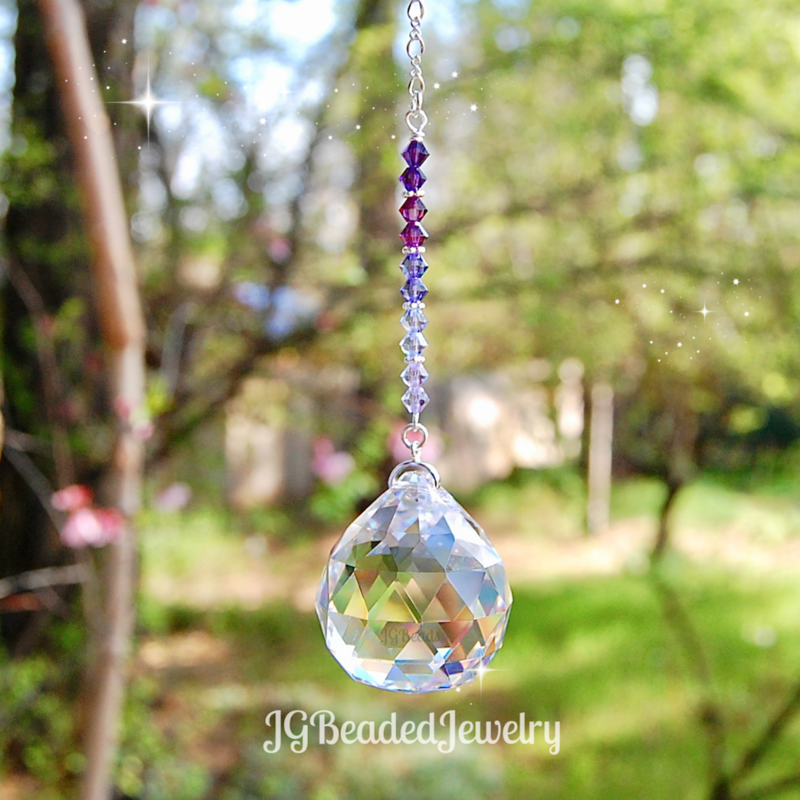 This Purple Rain prism crystal suncatcher is uniquely designed with a 30mm faceted crystal ball and will throw off beautiful rainbows when the sun hits it just right! 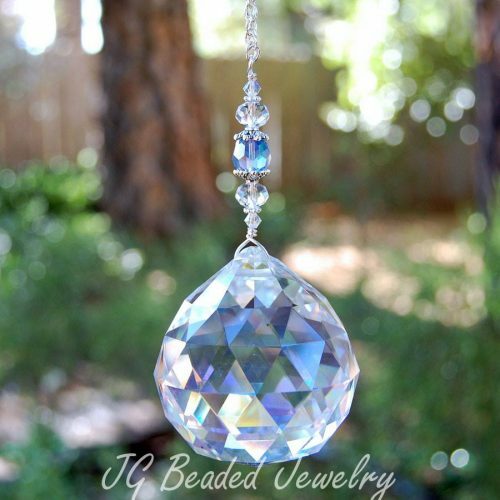 The prism is embellished with flawless deep purple, amethyst, tanzanite, lavender and violet Swarovski crystals in the ombre pattern. 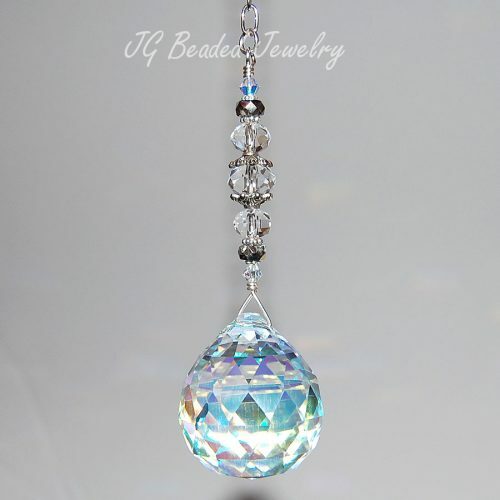 It can be hung on the rearview mirror, attached to a ceiling fan/light pull chain, or in a window! 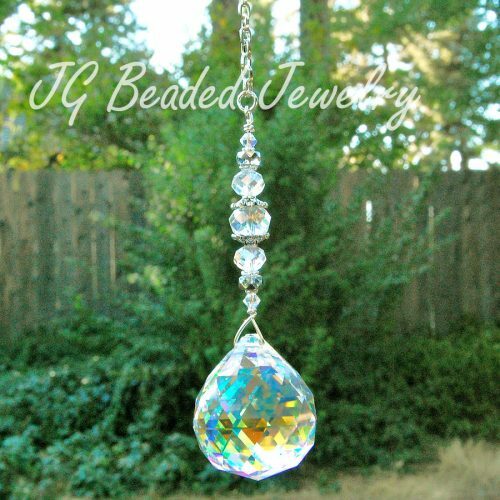 The prism is available in your choice of a Crystal Clear or Clear AB prism (Clear AB prism has an aurora borealis finish which increases the rainbow effect when in direct sunlight and is shown in the photo for this suncatcher). 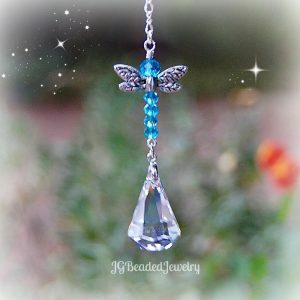 Crystal Clear is shown in the photos.